Convocation Day celebrates the anniversary of the first meeting of Convocation, held on 4th March 1913. Convocation is proud to recognise achievement by graduates on the anniversary. The close working relationship between the Guild, the University and Convocation will be on display again on Sunday, 4th March 2017 when UWA's new Guild President, Ms Megan Lee, already a member of Convocation, will plant a tree adjacent to James Oval, beside Saw Promenade, as part of the annual Convocation Day celebrations. She will be welcomed and the occasion hosted by the Warden of Convocation Dr Doug McGhie. Convocation, representing the graduates of UWA, values its close work with the Guild (representing UWA students) to help achieve their common objective for UWA to become one of the top 50 universities in the world by 2050. Convocation Day celebrates the anniversary of the first meeting of Convocation, held on 4th March 1913. Convocation is proud to recognise achievement by graduates on the anniversary. In 2017 past members of Convocation's Council were welcomed to the tree planting and joined in a celebration at the Irwin Street Building. Each year Convocation presents many prizes and scholarships to undergraduate and postgraduate students. These prizes and scholarships are made possible by graduates, who contribute to excellence through their generous donations to Convocation's capital funds. For thirty years, beginning with the 75th Anniversary of the University, Convocation has presented Postgraduate Research Travel Awards (PGRTAs) to enable postgraduate research students to enhance and gain new perspectives on their work through travel in Australia or overseas. These Awards are supported by the generous donations of graduates, with assistance from the University Research Committee and the Postgraduate Students' Association. Convocation Day 2018 will see a reunion of PGRTA winners, many of whom have gone from UWA student success to wonderful careers all around the world. Professor Richard J. Harper (pictured - left) is Acting Dean, School of Veterinary and Life Sciences at Murdoch University. He not only won one of the very first PGRTAs, but also served on Convocation Council for many years. 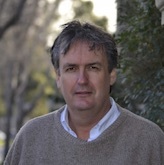 Richard commenced as Acting Dean in October 2017 and has been the leader of Agricultural Sciences at Murdoch since 2014. In June 2003 current Councillor Angela Evangelinou-Yiannakis (pictured – right) travelled to Greece on her PGRTA. Dr Kanthi Perera won a Postgraduate Research Travel Award in 2013 and will be there, as will Dr David Gozzard, Western Australia’s Young Scientist of the year for 2017, and David Miller, Associate Professor in Physiology at Murdoch University both past winners. 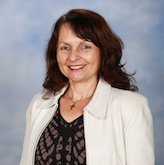 Associate Professor Rachael Hains-Wesson is unable to attend as she resides in Sydney but reports that the Convocation Travel Award allowed her to complete research as part of her PhD in the USA, giving a fantastic opportunity that allowed her to progress with her chosen career as a practitioner-academic. Convocation PGRTAs, in more ways than one, help our graduates to go places!